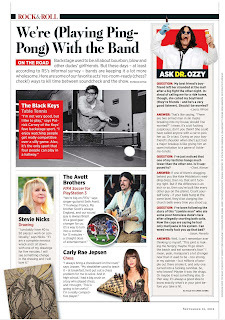 Stevie Nicks featured on page 34 in the latest issue of Rollingstone Magazine (9/13/12) in the Rock & Roll section on what bands do to kill time between soundcheck and the show. Stevie talks about her drawing. Short talk!they need to give her more recognition than that, after all she does have a life besides rock an roll, I love her music and dedication but she does so much more to help others especially our troops. She deserves all the attention she wants to put out there to help support her cause. The article should at least have been a full page!!!!!! Just my opinion. One of a kind . Thanks so much Stevie !!! 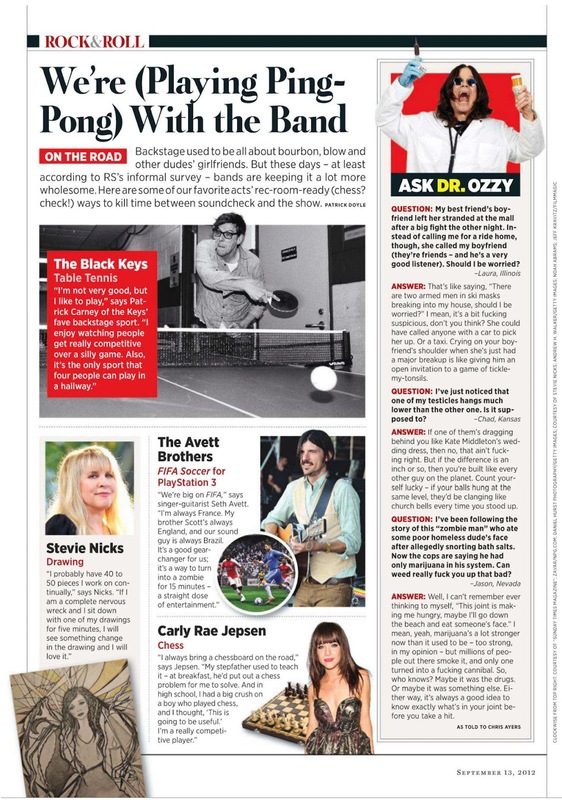 Stevie rocks , they should have done a whole page on interview!!! Article way to short give up the wholly page next time. Stevie is rock goddess and deserves much more space..